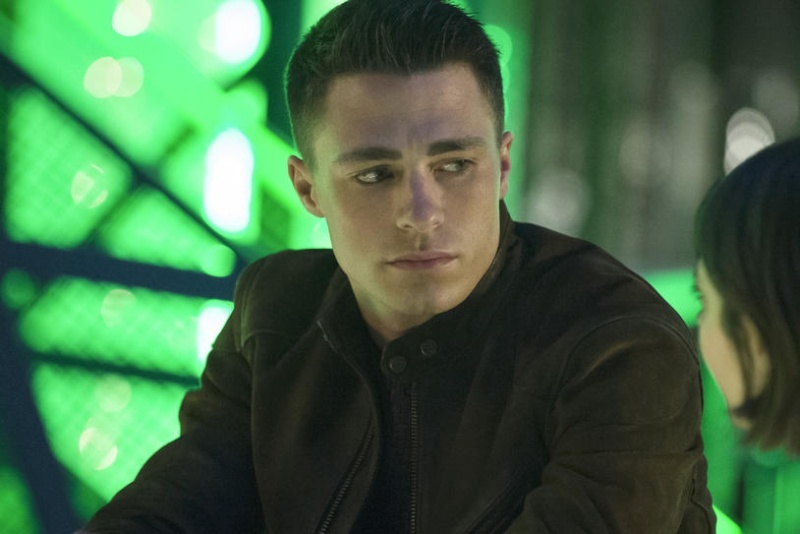 Colton Haynes officially confirmed he's gay in an interview with Entertainment Weekly published on Thursday. The Arrow and Teen Wolf star, who has struggled with clinical anxiety, peeked out of the closet in January when he responded to a Tumblr comment about his "secret gay past" with a coy, "Was it a secret?" Now, after rehab for his anxiety so severe it sent him to the hospital several times in months, he finally felt free enough to confirm the speculations. (Kudos!) But now that he has, it almost seems as if his totally understandable fears may have been unwarranted. That's because, for fans at least, his sexual orientation is more than a non-event--it's a trait they're willing to embrace both in real life and in fiction. They're so enthusiastically supportive in fact, that it begs the question: where does the pressure for a heartthrob like Haynes to be heterosexual even come from? Haynes' first breakout role was on Teen Wolf, a show whose fanbase ardently 'ships two heterosexual characters Stiles (Dylan O'Brien) and Derek (Tyler Hoechlin) to be together. Fans have shown fervent love for this fictional homosexual relationship through GIF sets, fan fiction and more. The same goes for Supernatural's Dean (Jensen Ackles) and Castiel (Misha Collins) -- whose 'ship is celebrated in this amazing fan art -- and Shameless' Ian (Cameron Monaghan) and Mickey (Noel Fisher). The latter's fans are still distraught over the breakup that happened over a year ago. That, and a quick scroll through Twitter responses show so much support for the actor that it proves that fans are the last ones gay actors need to be worried about. So where does the pressure come from then? For Haynes part, he said his anxiety stemmed from trying to live up to a leading man image. "People want you to be that GQ image that you put out, but people don't realize what it's like to act 24 hours a day. I'd go home and I was still acting," he said. "People who are so judgmental about those who are gay or different don't realize that acting 24 hours a day is the most exhausting thing in the world." His responses hint that the ideal he's so worried about living up to is one pushed by executives and casting directors who aren't as open minded as the people watching the shows they create. While it may be a while before Hollywood catches up to actual viewer behavior, at least Haynes and actors like them are living freely--and creating cultural change for the better. "It took me so long to get to this point, but I'm doing so good," he told EW. "I'm happier than I've ever been, and healthier than I've ever been, and that's what I care about." Mightily disappointed, but i will pretend i didn't read this in other to enjoy my arrow to the fullest. My bad if i ruined anybody's interest in watching the arrow. Lost interest in it a while back when they started making everyone in the city a super hero. It has started becoming like cartoons my opinion tho. @Dagobert wrote: Mightily disappointed, but i will pretend i didn't read this in other to enjoy my arrow to the fullest. aaa...@Dagobert paa...you also follow this colo series, there are too many heroes in that series, calling it "the Arrow" seems wak to me... maybe we should call "The Band Of Superheroes" instead. I will watch 24 or Prison Break and ignore this colo series any other day, even doe they are older than "The Band Of Superheroes".. ops sorry, i meant The Arrow..
With regards to Colton Haynes being gay. i think that's his decision and i have nothing against it or whatsoever.. We all do what makes as happy and also keep us sane.. its time we let him do his own thing and leave the judgement to God. Lol PD and Willspanner, you give are the 4th and 5th persons this week alone who have lextured me on how wak arrow is. I agree with you guys but i still haven't got any tv series that should replace this one. I followed Constantine for some time until it was discontinued. i now follow arrow and the flash. If you guys think arrow is wak (I know its wak) then give me alternate series that are good. NB. Not old ones oooo.